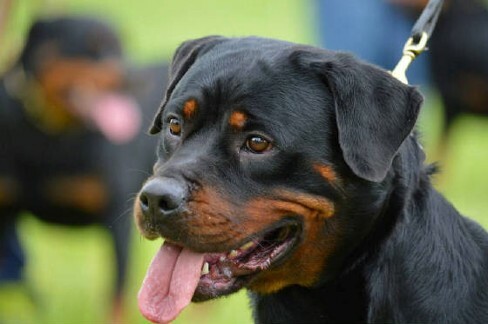 Rayka Von Der Steinbrucke is a excellent masterpiece of the Rottweiler breed. Rayka our Rottweiler female has a beautifule masculine head, but nicely feminine. Strong muscular front chest, good bone substance, and amazing temperment. 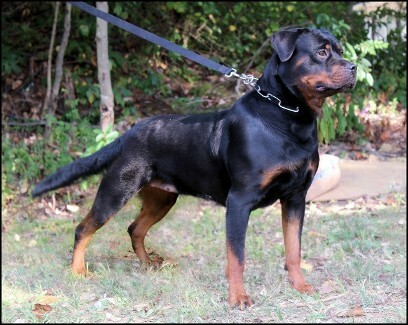 Rayka produced her first litter with beautiful examples of how a real German Rottweiler should look like. The Rottweiler puppies for sale from Raykas' "F" litter and "G" Litter had huge heads with wide jaws. The Rottweiler Puppies had wide thick chests and amazing temperments. Each Rottweiler puppy has its own unique temperment. When we watch the Rottweiler pups, it helps the owners decide what type of temperment they want. 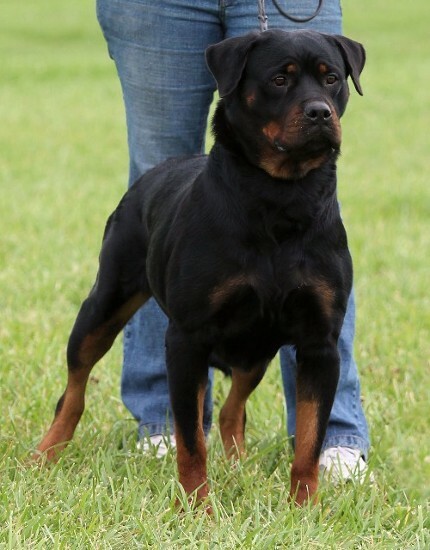 Thank you for looking at our Rottweilers female page. As Rottweiler breeders we want you to have the best puppies. We have another Rottweiler breeder for a reference if we do not have any Rottweiler puppies available.